Procurement departments bring organisation and structure to the process of finding a new supplier and it’s a good job they do, because BP (that’s Before Procurement) chaos reigned supreme.Now, an increasing number of procurement departments are applying a more considered approach to contacting and meeting potential suppliers. Tesco, for example, hold regional road shows at which they invite independent food producers to meet the supermarket’s senior buyers face to face; Argos also hold open days during which inventors and small suppliers can meet the organisation’s buying team. Following Tesco and Argos’ lead is really not such a bad idea when searching for a new travel supplier. Holding a ‘Meet The Buyer’ day is a great way to get some face time with any potential travel management companies (TMCs), giving you the chance to communicate your organisation’s goals, objectives and ‘pain points’ in a more effective and memorable way than via email. They’re the perfect opportunity for potential suppliers to ask any pertinent questions regarding your organisation’s travel requirements and should therefore be as transparent as possible, allowing your shortlisted suppliers to deliver a solution that best fits your organisation. A Meet The Buyer day can take a variety of formats, whether that’s as a group presentation by your organisation to all potential suppliers, or perhaps a ‘speed dating’ format in which each supplier is given a 15 minute slot to sit down with one of two teams of key stakeholders from your organisation. Inviting your organisation’s key stakeholders to attend is a practical way to give a comprehensive view of your travel needs to your potential suppliers, with each stakeholder being able to use their knowledge and experience to assess the solutions on offer and to decide which best fit their objectives. 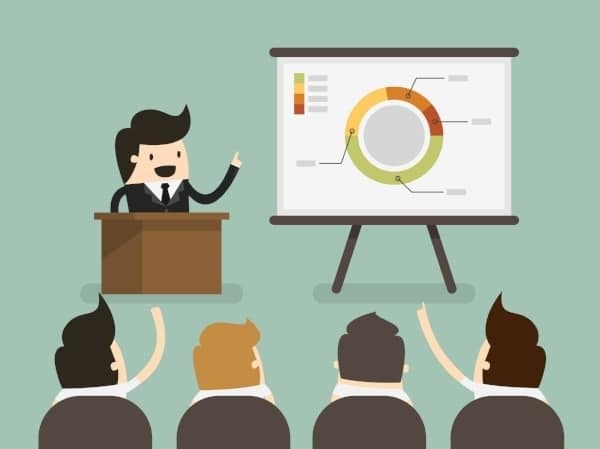 Stakeholders could assist during the presentation or be available to answer any questions suppliers may have regarding their specific requirements, and should ideally consist of a cross functional project team including representatives from the Executive Leadership Team, Human Resources, Sustainability, Operations and Procurement. Sharing the day’s agenda with all potential suppliers ahead of time so that they are aware of the structure and format of the day, key sessions, areas for debate and also any opportunities to ask questions and provide answers will allow both sides to get the most out of the day. Suppliers will provide the most useful information if they come to the day prepared with answers and solutions that apply specifically to your organisation; allowing them to see the agenda even a couple of days ahead of time means that they can plan which questions they should ask, when they can ask them and at what point would it be worth consulting with others or contacting their office. The more a potential supplier knows about your organisation, the better equipped they are to present you with a solution that best meets your travel requirements and, at a Meet The Buyer day, sharing this information in the form of a presentation is most effective. Be sure to include an overview of your organisation and its history, an insight into your organisation’s culture, the reasons you are approaching the suppliers, pain points and issues that you are experiencing currently, your spend profile and most common routes and reasons for travel in your presentation to ensure that your suppliers leave fully understanding your requirements. All ‘Meet The Buyer’ days should conclude with a Q&A session – these sessions can actually be the most useful, thought-provoking part of the day and so sufficient time for these should be allowed for in the schedule. Clarification questions are an ideal opportunity for prospective TMCs to ensure that they have enough information to produce a compelling proposal, whilst also guaranteeing that everyone is privy to the same information. Gemma is Click's Head of Bids and has been with Click since the very beginning. There’s no part of the procurement process that she’s not familiar with and as a result, Gemma is able to offer in-depth, practical advice about how to find the best travel management supplier for your organisation.